The long wait will soon be over as one of the most-anticipated kicks this year nears its release date. 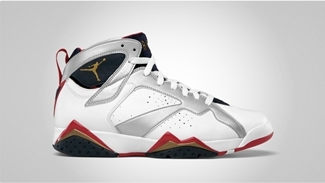 The Air Jordan 7 “Olympic”, which has been making noise since it was announced for a re-release earlier this year, will be hitting shelves this Saturday, July 21, almost a week before the 2012 London Olympics starts. 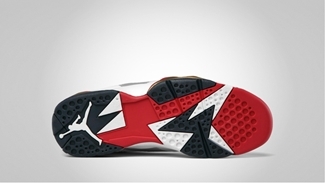 Officially listed as the White / Metallic Gold – Obsidian – True Red colorway of the Air Jordan 7, this kick, which was popularized by Michael Jordan during his stint in the 1992 Barcelona Olympics, is expected to make a splash this weekend. This will be yours for $160 – a price that is worthy of the quality that you will get, not to mention the rich history behind this retro kick.